During my last trip to India, i was really curious about the influence of the West on food, not that it is a new topic as chains like McDonald's or KFC have been present there for a long time, adapting their menu like, in any country where they invest, but with the added rule of not serving beef, cows being considered a sacred animal. I went to a mall in Noida as well as a tech center in Gurgaon, the Cyber Hub, where there were lots of chains that we know, reminding me a bit of Singapore. There were places like Wendy's, Red Mango, Starbucks, as well as Carl's Jr and The Hard Rock Cafe where I ended up for meals, one of my colleagues being so happy to eat something different and wary about his nut allergy. The Hard Rock Café was exactly like the other locations of this famous joint with the usual decor full or Rock memorabilia like a guitar from Kiss or Van Halen, serving some classic dishes and to my surprise, burgers. Yes, they serve burgers, but the meat is buffalo. I admit that I was more curious about the Hickory smoked BBQ Combo that was composed of baby back ribs (pork) and the Hickory BBQ chicken that were succulent. It was served with Cowboy beans, seasoned fries and coleslaw. At Carl's Jr, it was all chicken and I chose a hand-filet chicken sandwich that had just a little amount of spices. It really liked it. Of course, they had other choices that were more local such as tandoori chicken or tikka masala, as well as a bunch of vegetarian options, a mandatory thing in India. Last were sides that had spices: the onion rings that were nice and crispy, always comforting and some fries that were decent. 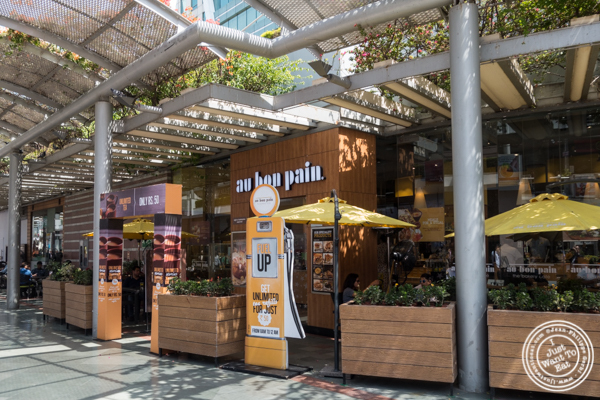 It was a nice insight, but of course does not stop there: there are many restaurants like the famous Le Cirque in Delhi that go beyond the casual and fast food dining I saw so far. I gonna have to try some the next time I go to India.